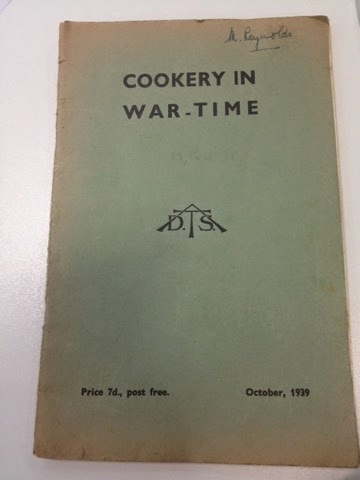 Thanks to a heads up from ‘Cynthia’, I’ve just been over to ‘SnoodleBugVintage.blogspot.co.uk’ and downloaded this fabulous book called ‘Cookery in Wartime’..
And as Cynthia let me know, I’m letting you know as it’s an opportunity too good to miss! Please CLICK HERE to go to Snoodle Bugs website and click on the link to download. This entry was posted in Uncategorized and tagged free wartime cook book. Bookmark the permalink. ← 1940s and wartime wish-lists! That book has my name written on the top right hand corner! Thank you for the link to the recipe book. I love it! Thank you Snoodlebug and Carolyn for sharing this. Can’t wait to get started on some of them. I noticed the amounts of ingredients was rather generous, especially with eggs, bacon and onions. It goes to show how fast things changed when the war started in earnest. Woo Hoo! This is cool. Sending to all my vintage friends. This is wonderful. I think you’re amazing and love following your journey! I will have to play with it to read it on my computer, but that is the challenge in it self as it doesn’t copy as PDF file. I will find a way to read it better instead of side ways and as screen print only download. Something to do this weekend. I hope I am the only one with this problem. I will let you know when I get to read properly. Carolyn thank you again for this link. I did manage to get to read this text. This cookbook must have been one of the first ones printed. 4 bananas in one recipe . Thanks so much for this link, I am just starting out on my rations journey and the more recipes I can find the better!